Are you a working professional who wants to take their career to the next level and wants to pursue an MBA degree course but do not have time to attend the regular classes because you’re doing a full time job? Or you’re a housewife who wants to continue their study but cannot go to college to attend the lectures? Or you are a fresh graduate who wants to join a job but also wants to continue their higher studies. If you cannot attend the regular classes in a college, a distance education MBA is the right program for you if you want to make your career in the field of business management. 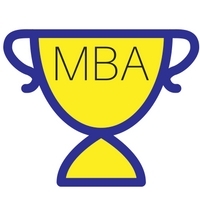 An MBA is the most demanded post graduate degree program in India. More than 5,00,000 students complete an MBA degree program each year and this number is increasing each passing year. MBA is the only degree program which popularity is increasing year by year. An MBA degree from a reputed university can open up several doors for your career. You can pick a specialization of your choice out of the tens of the specializations available. If you are confused, which university to join to pursue an MBA degree program? Or wants to know the best distance education MBA in India then keep reading this article. In this article we are going to mention the best universities in India that offer a distance education MBA or PGDM course. Here are the top 10 (best) distance education MBA colleges in India for 2019. IMT is one of the top business schools in India. IMT offers distance education courses under its center for distance learning (IMT CDL). IMT CDL Ghaziabad offers a wide range of distance learning courses in the field of management and information technology. All the courses offered by IMT CDL are recognized by the University Grants Commission (UGC). Being an Institution and not a university, IMT CDL offers﻿ ﻿a PGDM (MBA) which is 2 years post graduate program in the field of management. The 2 year MBA offered by IMT Ghaziabad is considered ​one of the best distance MBA in Delhi NCR region. Apart from the 2 years PGDM program, IMT also offers a one year PG diploma in the field of business administration and a one year executive PGDM program which specializations in the field of Financial Management, Operations Management, Human Resource Management, Marketing Management, and Information Systems. IMT ranked #1 in the survey conducted by ZEE BUSINESS on INDIA'S BEST DISTANCE LEARNING B-SCHOOLS in the year 2012. IMT got the "Award for Excellence in Distance Education" by 24th Business School Affaire & Dewang Mehta National Education Awards in 2016. IMT got the "CSR Top Distance Learning Institute of India Award" by Competition Success Review in 2016. IMT recognized as 'Best Institute in Distance/Open Learning' at the 8th ASSOCHAM Education Summit National Excellence Awards 2015. Symbiosis Center for Distance Learning (SCDL)﻿﻿ ﻿﻿Pune is another award winning and one of the largest autonomous distance learning institute in India. SCDL was started in the year 2001 and offers Post Graduate Diploma, Diploma and Certificate programs. SCDL’s 2 years PGDBA (MBA) is one of the most popular management program in India. You can choose a specialization out the six specializations available i.e Finance, Marketing, Operations, HR, Customer Relationship Management and Management Accounting. If you wish to choose two specializations, Dual (additional) Specialization option is also available for the PGDBA program. Apart from the PGDBA program, Symbiosis also offers 2 years PG diploma courses in the field of International Business, IT Management, Banking and Finance, Human Resource Management, Insurance Management, Retail Management, Customer Relationship Management, Supply Chain Management & Export and Import Management. To be eligible for these courses someone should be a graduate in any discipline, from a recognized University. The Symbio​sis distance MBA is quite popular in India and considered as one of the best distance education MBA in Pune and rest of Maharashtra including Mumbai, Nashik, and Aurangabad. When we think about distance education, the first name that comes to our mind is IGNOU. IGNOU is world’s largest university in terms of number of students enrolled. It offers a variety of distance education courses. MBA is one of the most popular distance education course offered by Indira Gandhi National Open University. The minimum duration to complete the MBA ﻿﻿program offered by IGNOU is 2.5 years. There is no age bar to join the course. To be eligible for the course, someone should be a graduate with at least 50% marks for general category and 45% for reserved category and 3 years managerial/supervisory/professional experience. You can also join the course if you have a professional degree with 50% marks. You should also clear the OPENMAT exam conducted by IGNOU. Apart from the general MBA program that we have mentioned above, IGNOU also offers a specialized MBA program i.e Master of Business Administration (Banking & Finance) (MPB). To be eligible for this course, someone should be a member of the Indian Institute of Bankers. There are also some special requirements that needs to be meet in order to get admission in MBA Banking & Finance. ICFAI ﻿﻿University is a renowned name in distance education. Since 3 decades ICFAI is offering higher education in India and has won many awards for its quality of education. ICFAI offers many degree, post graduate diploma courses and certificate programs in the field of business management. It’s popular distance education MBA degree program that is divided into 5 modules. The 3rd module consists of electives. The students have to select one elective out of 16 electives available. The available electives are as follows. ICFAI offers convenient examination schedule to students. Not Sure Which University To Choose? Let us help you out. Get free admission counseling from experts. Sikkim Manipal University’s distance education ﻿MBA course is another top rated degree program in India. Sikkim Manipal University offers its distance education courses under its distance education arm known as SMU-DE. SMU-DE was formed in the year 2001 and now it is a leading provider of professional education in India. Some of the popular distance education courses offered by SMU-DE are as follows. SMU-DE’s popular distance education MBA program is a 2 year degree program divided into 4 semesters. The minimum duration to complete the course is 2 years and maximum is 4 years. SMU-DE market their MBA as distance mba with placement. To be eligible for Sikkim Manipal University’s distance education program, someone must have a graduation degree from a recognised university. You also have to clear the entrance test conducted by the University for Admission. 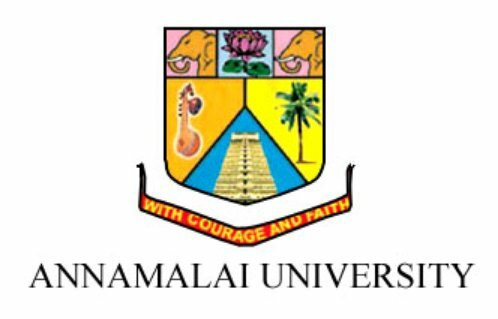 Annamalai University is one of the most popular universities in South India. The university offers more than 500 different courses under its Directorate of Distance Education. The Annamalai University DDE was established in the year 1979. Annamalai University DDE offers general MBA and 5 other specialized MBA programs under the distance education mode. The MBA courses offered by the university are quite popular in India, specially in South India​n cities like Chennai, Coimbatore, Madurai, Vellore, Bangalore, Hyderabad etc. The general MBA program is available under English Medium & Tamil Medium. All other MBA programs are available under English Medium only. Admission in Annamalai Distance Education MBA programs are made after passing of a written Entrance Examination. Narsee Monjee Institute of Management Studies (﻿NMIMS﻿) was established in 1981 by Shri Vile Parle Kelavani Mandal. NMIMS ranked among the top 10 B-Schools in India for regular MBA course. NMIMS also offers PG Diploma, Diploma and Certificate program in management under distance education mode through its NMIMS Global Access School for Continuing Education (NGA -SCE). All the courses offered by NMIMS are approved by UGC-DEB (Distance Education Bureau). NMIMS Distance Education PGDM (MBA) is one of the top ranked management program in India. Currently NMIMS offers the following 2 years PG diploma courses under distance education mode. To get the admission, you must be a graduate from a recognized university with 50% marks. Ranked 2nd among the top B-Schools offering distance education in India by ZeeBusiness. Ranked 5th among the top B-Schools offering distance education in India by DNA-Indus learning survey. • Ranked as top distance learning institute in India for excellence in management education by Competition Success Review. Admissions for the current session is closing very soon. 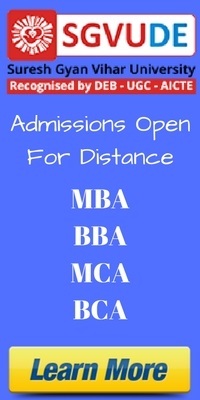 All major universities are inviting applications for admission in distance MBA. Seats are limited. Don't let this opportunity slip from your hand. Welingkar Institute of Management Development (WeSchool) is another top B-School in India. The institute was established in the year 1977. Apart from its full-time regular courses, Welingkar Institute of Management Development also offers part-time courses i.e post graduate diploma in management, diploma & certification courses though hybrid learning format. The distance learning courses offered by WeSchool are accredited by Universtiy Grants Commission (UGC-DEB). WeSchool’s MBA (PGDM) program is one of the most popular distance learning management course in India. Besides its regular courses, Amity also offers online learning through Amity Directorate of Distance and Online Education. The distance education ﻿MBA course offered by AMITY University is a top ranked management degree course in India. It is a two-year (4 semesters) program with 11 specialization areas. The two year MBA program is a complete online course. Anyone with a graduation degree with 40% marks can join this course. Lovely Professional University is among the top ranked private universities in India. The university has won many awards for its quality education. The university is located in Punjab and offers both regular and distance education courses. Under the distance education mode, the university offers Degree and Diploma programmes. The distance education MBA program is one of the top ranked degree courses in the field of business management. The fee structure of LPU﻿﻿’﻿﻿s distance education MBA programme is quite affordable. The minimum duration to complete the programme is 2 years and the maximum is 5 years. Someone should have a graduation degree from a recognised university to be eligible for the programme. Lovely Professional University’s distance education MBA course offers 7 specializations. We have summarized all the information about the top 10 distance education MBA universities in India i.e Ranking, University Names, Eligibility Criteria, Entrance Test, and Fee in the table below. So these are the best universities in India for distance education MBA. We truly hope you must have liked this article. If you have any admission related query, feel free to contact us using the contact form available on our website. Most of the universities have their information centers across India including the states like Jammu and Kashmir, Punjab, Himachal Pradesh, Uttar Pradesh, Uttrakhand, Kerala, Mizoram, Nagaland, Bihar, West Bengal, Madhya Pradesh, Sikkim, Assam, Tripura, Telangana, Odisha, Maharashtra, Karnataka, Rajasthan, Meghalaya, Andhra Pradesh, Tamil Nadu, Jharkhand, Chhattisgarh. Question: Which University is Best For Distance Education? Answer: In this article, we have mentioned the top 10 universities for distance education MBA. Generally, universities that are approved by UGC DEB for offering distance education courses, conduct examinations on time, and charge reasonable fee from the students are considered good universities. While choosing a university, you must check how the program will be delivered. Now-a-days most universities have an online platform to deliver lectures and providing study material. ICFAI University, Sikkim Manipal University, Lovely Professional University, Annamalai University, IGNOU are some names of good universities in India offering distance education courses. Question: Is Distance Education MBA Valuable? Answer: Not everyone can pursue a regular MBA course. Working professionals cannot do it because they cannot leave their job, and some other cannot do it because they don’t have money to pay for a regular MBA program which generally cost 4 times of the cost of a distance MBA. In today’s time when universities are using online program delivery systems, it makes lot of sense to pursue a distance education MBA program because you can watch all the lectures online, can access study material, and ask your doubts from the faculty and peers. Now a distance education MBA degree is valid in both private and regular jobs. In a nutshell, a distance education MBA has the same value as a regular MBA does. Question: Which is Better PGDM or MBA? Answer: Both the PGDM and MBA are post graduate programs in the field of management. While PGDM is a two year diploma course offered by deemed to be universities and management institutions like NMIMS, SCDL, IMT etc., an MBA program is a two year degree course which is offered by universities offering distance education courses in India like ICFAI, Annamalai University, SMU, IGNOU, LPU etc. Syllabus wise, both the courses are almost same and offer similar kind of understanding on the subject. Both the courses are accepted in government and private jobs. Although in some situations where an MBA is must, PGDM students can not apply. For example, for doing a Ph.D, an MBA degree is must. Both the PGDM and MBA are equally good if you’re in a private job, although for higher education or doing a job where a MBA degree is required, some should choose an MBA over PGDM. Question: Is CAT or MAT Required for Distance MBA? Answer: There is no special requirement of appearing in CAT or MAT for doing a distance MBA since most universities conduct their own entrance exams. Although if you have a valid CAT or MAT score, you can get an admission in a distanc MBA course on the basis of the same. Question: Which Specialization is Best in MBA? Answer: The one answer for this question is all the specializations are good if you choose them based on the past education and interest. For example if you’re a commerce student and have interest in accounting and investment, a specialization in Finance or Banking will be a good fit for you. On the other hand a specialization in Marketing will be good for a student who loves to travel, meeting new people and take deadlines seriously. Always choose a specialization based on your interest so that you can enjoy your job. Question: What is The Salary of an MBA? Answer: The salary of an MBA depends upon many factors like experience, type of job, location of the job, and company. If you’re a fresher and searching a job in a metro city, you can accept a salary from INR 15000 to INR 25000. Although, the average salary of an experienced MBA professional in India is INR 50000. Question: Can You Get a Job After Distance MBA? Answer: Yes, you can easily get a job after distance MBA if you have the skills and mindset an HR manager is looking for. Even some distance education universities provides placement assistant to their students after they complete their distance MBA. To get a good job you need both the skills and education. Question: Can I do PHD after distance education MBA? Answer: Yes, you can do PHD after completing your distance MBA. As per the norms set by UGC for doing a PHD, a masters degree is required. Since MBA is a master degree in management, you can apply for PHD after completing your degree. Although, someone can not do PHD after doing PGDM. The PGDM is a post graduate diploma program in management. Since PGDM is not a degree program, it does not meet the eligibility criteria for doing PHD. Question: Is PGDM equals to MBA? Answer: Not all PGDM courses are considered equal to MBA. A PGDM is considered equal to MBA if the institution offering PGDM has accreditation from AIU (The Association of Indian Universities). Course wise, a PGDM and MBA is equal but an MBA course has wider acceptance in both private and government jobs. Question: Is distance MBA valid for a government job? Answer: In a recent notification, UGC clarified that degrees, diplomas, and certificates awarded by universities and institutions, approved by UGC-DEB, should be treated as corresponding degrees of regular institutions. That means a distance MBA will be treated as good as a regular MBA for government jobs. Answer: A regular MBA is always better than a distance MBA, the reason because you do it full-time and spend two complete years to study the various aspects of management and clarifies your doubts with the faculty members. Although, a regular MBA is not feasible for everyone, for example, people working in an organization cannot do it because they cannot leave their job. Distance MBA is a good option for working professionals, people living in remote area, and housewives.